Lisbon will remain the host city for the Web Summit technology conference until 2028, according to the Portuguese Embassy and Aicep Portugal Global in Seoul. Under a new 110 million-euro ($127 million) deal that includes a large-scale venue expansion, the company behind the technology conference has come to a new agreement with the Portuguese government. The decision, which was revealed by Web Summit Chief Executive Officer Paddy Cosgrave and Portuguese Prime Minister Antonio Costa in early October, was reached through a competitive tender process involving over 20 European cities. Originally called Dublin Web Summit, the event, focusing on internet technology, has been held in Dublin from 2009 through 2015, and in Lisbon since 2016. Over 120,000 people from more than 170 countries participate in global conferences organized by the Web Summit company, including Web Summit in Lisbon, Collision in Toronto, Rise in Hong Kong and MoneyConf in Dublin. Its attendees range from Fortune 500 companies to smaller tech companies, and include a mix of CEOs and startup founders and a wide range of professionals from across the global technology industry and its related industries. It is “the largest technology conference in the world,” according to Inc Magazine; “the best tech conference on the planet,” according to Forbes; “Davos for geeks,” according to Bloomberg; and “the Olympics of tech,” according to Politico. The event employs 200 professionals, ranging from engineers, data scientists and designers to producers, marketers, salespeople and more. A part of the deal is to double the size of the Altice Arena and International Fair Hall of Lisbon -- venues for the event -- over the next three years to fit Web Summit’s growth forecasts. The first phase of the expansion project will start in the coming months and will be completed for Web Summit 2019. Web Summit has also agreed to a 3 billion euro buyout clause -- reflecting the conference’s minimum expected economic impact on Portugal over the duration of its contract, and providing security to the country that Web Summit will remain in Lisbon for the 10 years. 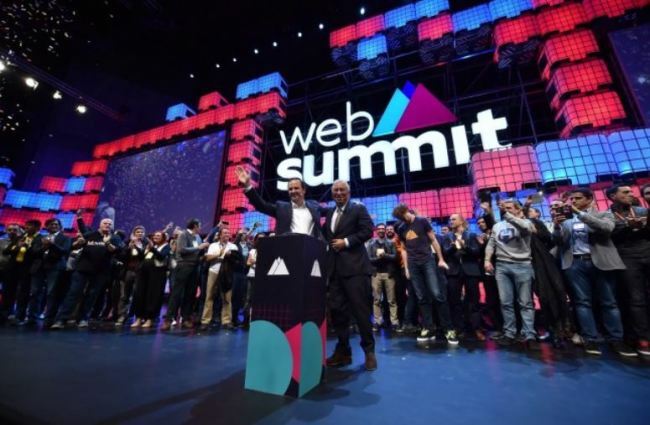 According to the Portuguese government, Web Summit will generate more than 300 million euros of revenue for the country. It has also helped elevate Portugal and Portuguese companies on the global stage, particularly the technology startups that have risen rapidly in the country.